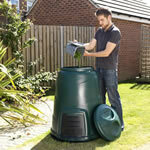 As the UK’s leading supplier of home compost bins, we have an extensive range of best-selling composters. 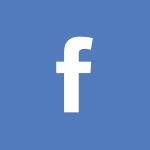 A variety of composting accessories such as base plates, kitchen caddies and aerators are also available, as are a range of supporting services. 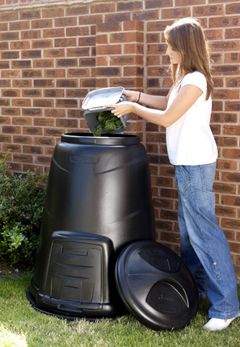 With more than three million units sold, our Compost Converter is the UK’s best-selling home compost bin and the first choice with householders and local authorities alike. 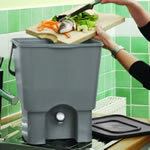 The Kitchen Composter enables 100% home composting using a natural bran-based activator called Bokashi. 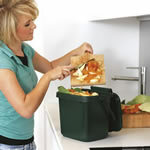 All cooked food waste including meat, fish and even dairy can be composted using this unique system. The Thermo King is a premium compost bin manufactured from Thermolen, a material produced from HDPE that is “foamed” to give better insulating properties. The heat generated by the composting process is retained inside the bin speeding up the breakdown of the contents.